This is pure Korean ginseng tea made from original Korean ginseng roots. Nourish Qi, promote energy, very effective as a stimulant, for fatigue, lack of energy, promote endurance, etc. 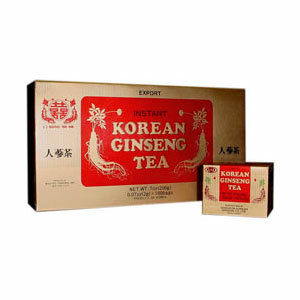 Dissolve 1 or 2 packets of Korean Ginseng granules into a cup of cold or hot water and stir well. Sweeten with honey if desired. People with high blood pressure should avoid Korean Ginseng as it has Heat properties. It is recommended to take American Ginseng instead.